As we continue this week on our journey to joy, we are ready to examine Hana Matt’s second proven way. This idea takes us back to the practice of mindfulness. When we are mindful of our emotions and reactions to various stimuli, we are opening up the opportunity within ourselves to take control over how those feelings will ultimately affect us and our overall wellness and happiness. There are infinite ways in which we may experience something negative in our lives. There are times when we will feel helpless, depressed, anxious, angry, confused, stressed, overwhelmed, betrayed, or even numb. These feelings mean that we are alive, even though they are most unpleasant to feel. But instead of dwelling and focusing on the negative, it is possible to shift your consciousness toward the positive. We all have that power. This is not to be confused with wishful thinking or a simple declaration that today you will be happy. This is a practice that must be consciously ongoing. You have to decide to change the path of your thoughts. Like mediation or yoga, everyone can make this shift as long as they are willing to work at this practice, learn to be in the present, and obtain a mindful control over one’s thoughts. This is not something that will just magically happen over night, but is something that you will quickly feel changes occurring within you once you begin this practice. If you mindfully practice this shift of thoughts, eventually it will become second nature. Your mind will have recalibrated itself to naturally allow your thoughts to flow in a positive way. 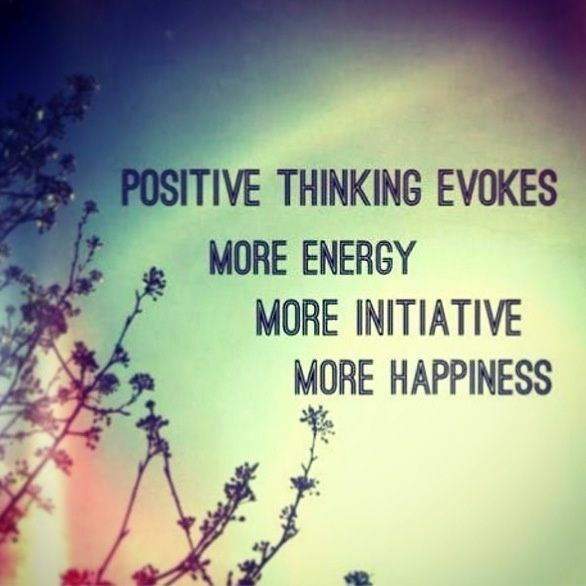 When your thoughts are more consistently positive, your joy biochemicals will be flowing steadily. Thanks for sharing a smile with us this week.